Mmmm. The holidays. Just imagine you’re curled up under a blanket watching holiday cartoons with a warm cup of hot cocoa while snow falls, blanketing everything around your home. That’s what the holiday season makes me think of. No matter how many times you’ve seen snow, the first snowfall of the year is always a little magical. As soon as the foggy evening chills below freezing and snow starts to fall, towns, and even the biggest cities, quiet while people stay in for the night. As relaxing as nights like these are, places around the world during the winter season are also getting snow. 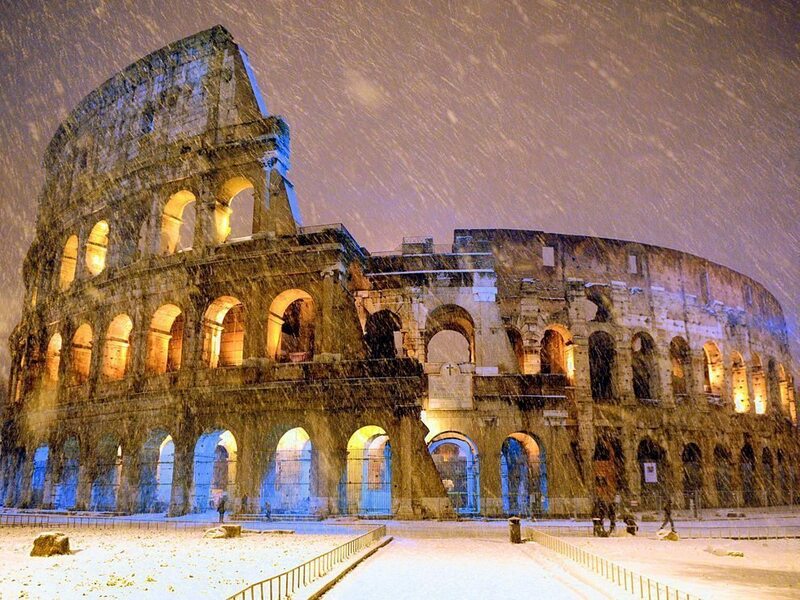 Something we miss out on during the wintertime is traveling to see our favorite famous places with snow. Everybody knows the most convenient time to travel is in the summer, but then we miss out on the calm yet eerie hush that falls over our favorite cities abroad. The famous images of iconic places in other countries that go viral on the Internet are typically free of snow as well. When I came across some of these famous places draped with snow, I realized they are just as wonderful as the first snowfall at home. If you’re like me and only like looking at snow rather than getting cold, gross, and wet from being outside, then you will fall in love with these winter photos of famous places covered in snow. From the East Coast all the way to China, these places transform into winter wonderlands. Where’s your favorite winter destination? Hi, Sydney) I really like these photos. I saw this Cathedral 2 years ago, when I was in Moscow. It was marvellous. By the way, it’s not a Basil’s, it is Vasil’s Cathedral.